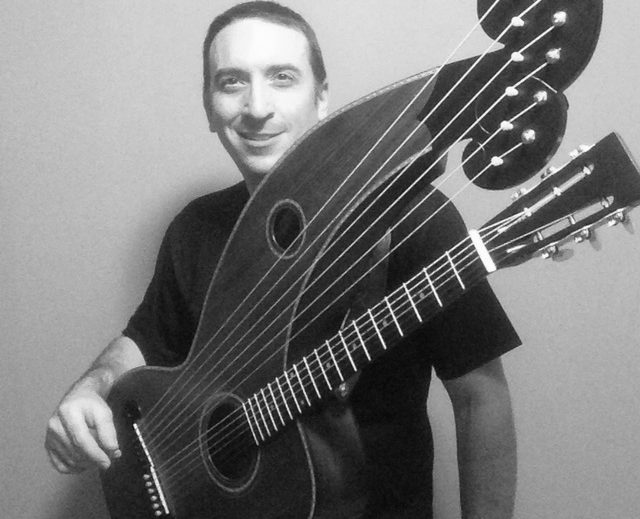 "Raleigh's Andrew Kasab plays a curious instrument: the harp guitar. His twelve-string acoustic apparatus looks like something snatched from a Hieronymus Bosch painting, but in Kasab's hands, it delivers the most delightful sounds. On 2015's "Fish," Kasab tackles a surprisingly wide range of styles over twenty-four tracks, from the opening, American Primitive-inspired "Ire" to the snappy, aptly titled "D St Funk." Kasab's music is gentle enough that it works well as a background complement to an easygoing night...but do give yourself the favor of giving him your rapt attention instead."